I recently submitted my work into for two different exhibitions. and the 16x16x16 traveling exhibition. 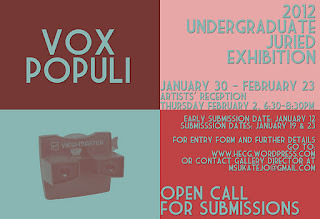 The Vox Populi is a campus-wide and multi-medium juried exhibition. 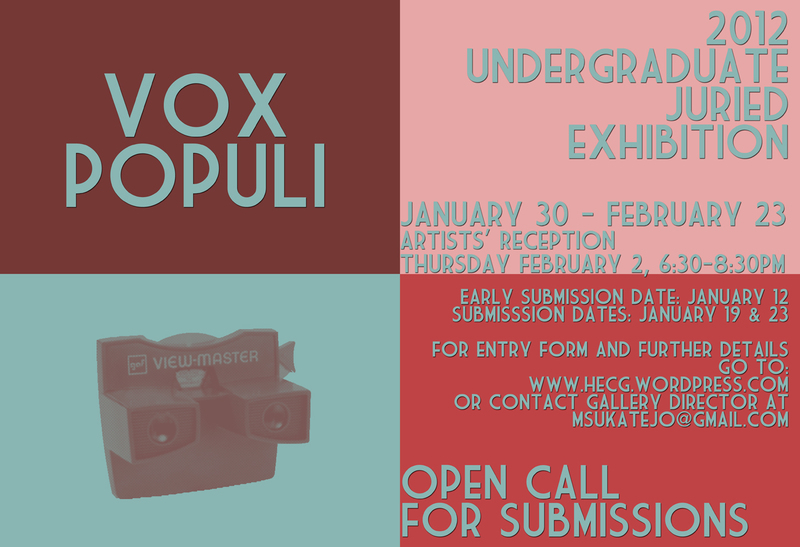 The 16x16x16 is a traveling photography exhibition that requires your image fits within a 16x16 mat and 16 students were selected. it was either another piece from "Digital Drug"
or the dandelion windmill image from "Natural Energies"